If you have googled ”how to make money online” a few times, looking for a good side hustle to start, drop shipping might be right for you. Drop shipping is an online retail business where you get products from suppliers at a wholesale price and sell to buyers at a retail price. What makes drop shipping different from the traditional retail business is that you don’t stock up, you don’t keep any physical inventory, you don’t need a warehouse. All you do is place orders to your suppliers who will then do the logistics of packaging and delivering products to the buyers. You are like a middleman but you do more than that, you build a brand for yourself. 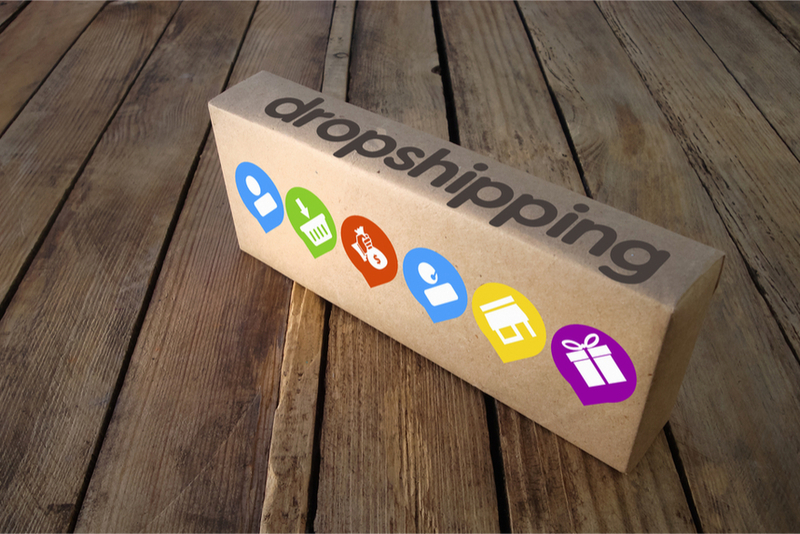 In this short guide, you will learn how to start a drop shipping business. If you want to start a drop shipping business, you need to specialize. Think of a niche you like, tech, fashion, beauty, etc, something you’re passionate about because you will need some self-encouragement when it looks like nothing is working. An All-season Product: carry out product research to know whether the product is in high demand. You can use Google Keyword Planner to see how often people search for the product, whether it’s a trendy product or an all-season product. For instance, a few years back, everyone wanted a hover-board because celebrities were using it, now it’s not so much in demand. A Competitive Product: your product research should also tell you whether it’s a product everyone is selling. If it is, this means that there is a huge market for the product and it won’t be so hard to get customers to buy. Low Shipping Cost: no one wants to spend a lot of money on shipping a product especially when they can easily buy from an established retail company like Walmart. Also, you can afford to adopt a free shipping policy by footing the shipping cost and this will surely impress a lot of buyers. A Locally Scarce Product: if people can’t get a product by just walking into a store near them, it is more likely that they will order for it online. So, choose a product that’s not exactly available locally. A Product With High Profit: choose an inexpensive product with a good profit margin. You want to make as much as you can while spending as less as possible. You can use Alibaba, Oberlo or any other drop shippers platform to find suppliers. You need more than one supplier. You need to study each supplier to understand their return policy, how reliable they are, their price and service difference. They are the life force of your new business so don’t limit yourself. There are three ways to go about this. You can sell on popular retail platforms such as eBay and Amazon, which is an easy way to start a drop shipping business. However, it comes with 10 -15% listing fees and other disadvantages. For more flexibility and control, it’s advisable to build a website. Shopify is highly recommended because it has several features (plugins) that make it seamless to start a drop shipping business. Shopify also does free weekly workshops on drop shipping. The last option is to buy an already existing drop shipping store on Exchange. Make sure you carry out research on the store, understand why it is for sale, the potentials, history, etc. If you want to do business, do it the proper way. Find out the procedure for registering a business in your country and state and register your new business. You will also need to get your finances in order so that you can create a business bank account. Once you start a drop shipping business, marketing should take more than 60% of your time and planning. As a newbie, you need to invest in cheap marketing strategies, affiliate marketing, email marketing, SEO, blog and social media. Do most of the marketing yourself. Be in control of things, and that also means taking responsibility when your supplier disappoints. The truth is that your customers don’t know and don’t care about your supplier, so don’t tell them stories of how your supplier disappointed you, instead make it up to them ASAP. Do it yourself. Bootstrapping is far better than outsourcing almost everything. Manage your inventory accurately. Having to tell buyers ”sorry, the product is out-of-stock” regularly is no sign of doing business the good way. You can use web-based solutions such as eCommHub to automate your inventory and orders.